There’s a new superhero on the block. 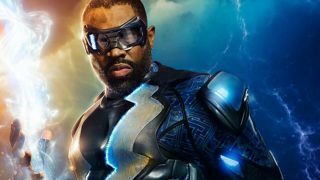 Black Lightning is not only getting audiences abuzz, but critics too. For those not in the know, Black Lightning - secret identity Jefferson Pierce - is a DC superhero infused with, you guessed it, electric super-powers. Often relegated to historical footnote, he’s been handed the reins for his own superhero show. Spoiler: It’s good. It’s real good. If charting at a 100% Fresh rating on Rotten Tomatoes isn’t enough for you then feel free to take a gander below at what the reviewers have to say about CW’s latest superhero show. For those curious about seeing what all the fuss is about, Black Lightning airs Sundays at 9pm EST on CW and will premiere on Netflix in the UK on January 23.